Search Engine Optimization (SEO) are the actions you can take that will help your potential customers find you when they use websites like Google to search for a product or service. Now more than ever having proper site SEO is vital for any business, any business that wants to be found on the internet that is. Google (Google is so dominant in the search space that it should be your primary focus) like all other search engines, works on indexing the content of websites, more precisely the text. 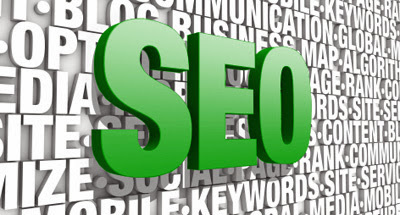 Therefore, when a person does a search, the string of words entered into the search field is compared with the content of all indexed websites on the web. The most relevant and closest to having content matching what has searched shows on the top of the list of the search results page. It sounds simple, but there are a right way and a wrong way to do it. Google tries hard to bring the most relevant results to the user; their primary objective is to serve the Google search customer - not the business or website owner. Having said that, Google is well aware that their search tool is for websites; therefore, they provide guidelines and best practices for optimising your site to ensure people find it. Google puts a lot of emphasis on quality content. Original well-written content will rise to the top, add keywords (the terms people will use to search for you) in the proper headings and body content and your website is further improving its chances of being easily found. Google's search algorithm is a tightly kept secret, and it is modified regularly. Just to keep at bay all the people trying to reverse engineer it so they can gain an advantage. The algorithm takes into account the content of a website (as I mentioned above) but also the links from other sites to the pages of your site. Google considers these links back to your site as "votes" for the quality of your content. Social sharing of your content through tweets or Facebook also reinforce the credibility of your site in Googles "eyes." Blogging can be one of the most powerful ways to improve your SEO and increase your page rank (how high up the search results page your website will land.) Stats show that sites with blogs often have 55% more traffic than websites without blogs. Google loves blogs because it means new content to crawl. And if you create blog content that uses your keywords (naturally, don't overdo it, or you will get punished by Google) and is well written and engaging, people will link to and share your content all contributing to making your site what Google considers relevant. Eager to be found by local customers? Then take the time to set up a Google + account and register your website with Google Places, it will help contribute to the relevancy of your site. Local search works excellent when people search for a service within a city or region. It takes only a few minutes to add your business address to Google Places. Google confirms addresses by mailing you a postcard to that address with a PIN number to verify the right location of your business. More and more people are using smartphones to do web searches (often for local businesses). And as mentioned above, Google is all about giving their users what they want and on a mobile device that is content that is optimised for the small screen. Having a mobile-friendly website will improve your mobile search ranking. One of the essential things that can be done to ensure Google indexes your website is to provide your XML sitemap to Google. And be sure to do a separate version for your mobile version as well. This post only scratches the surface of SEO - there is so much more you could learn online, and there are also some great partners you could hire to help you with SEO. A word of caution, there are also a lot of SEO scams out there, and you need to be wary of anyone who makes guarantees of number one rankings.